The Bleeding Disorders Registry (BDR) system is based on the Australian Bleeding Disorders Registry that has been running in Australia for over twenty years with its fourth and most recent redevelopment occurring in 2012. The system was developed internally at the National Blood Authority and is owned, maintained and supported by the National Blood Authority on behalf of the Australian haemophilia community under the auspices of the Australian Bleeding Disorders Registry Steering Committee. A copy of the Australian source code will be made available to the local candidate country’s technical team which will then be customised by them to tailor the BDR to suit the specific local requirements. The candidate country’s local version will be established and further developed separately and independently to the Australian version. An international shared version of BDR will be established and maintained by the Australian technical team with regular source code updates being sent to all subscribing countries for local deployment. An international shared version of BDR will be hosted and maintained by the Australian technical team with regular source code updates automatically applying to all subscribing countries. No infrastructure will be required by candidate countries to host the system as it will be hosted from Australia. 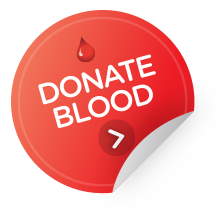 To discuss the BDR further, or to arrange an online demonstration, please contact the Chief Information Officer, National Blood Authority. Information on the Australian Bleeding Disorders Registry is available from our website at www.blood.gov.au/abdr and the patient interface at www.blood.gov.au/myabdr .